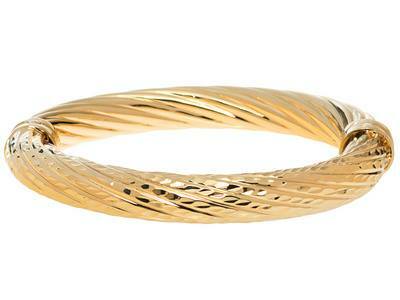 The color of gold jewelry depends on the various karat purity. 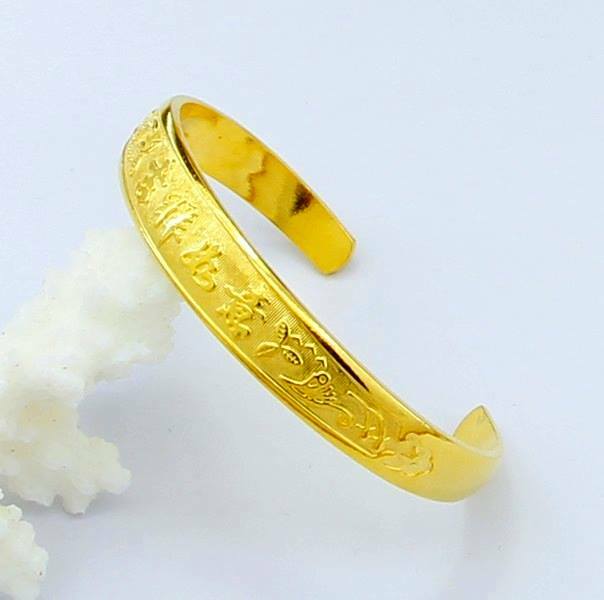 For example .999 pure gold jewelry is mainly found in Asian countries like China, Thailand, Viet Nam and tends to be very yellow soft and pliable due to the fact that there are no other alloys added like copper, silver or nickel to change its color , it is pure .999 gold and will aesthetically reflect that yellow pure color. 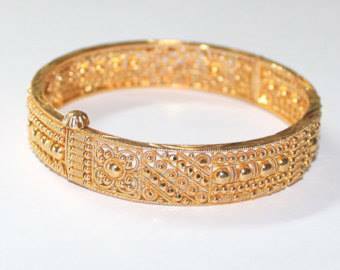 Gold jewelry from India is almost always 22 karat .917/.916 pure and 21 karat .875 pure. This jewelry has some alloy added and while it appears yellow it will tend to show a slightly reddish color or hue. As you go down the purity scale the next popular karat is 18k .750 pure which is widely used by the better and premier jewelers like Cartier, Tiffany & Company, Van Cleef & Arpels, Roberto Coin and others around the world . 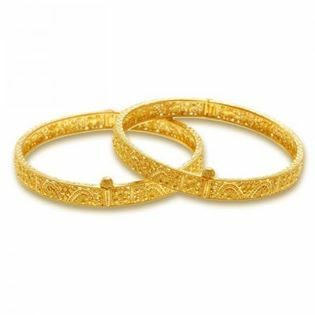 18 karat yellow gold jewelry is still predominantly yellow and because it is .750 pure there are 25% other alloys added, it is not as soft , pliable or yellow as .999 pure gold ( 18k can also be made in white gold depending on the amount of additional alloy added). Some gold jewelry from the Philippines appears to have the yellow look of 24k .999 gold when many times it is 14k .585 pure with a 24k yellow gold plating to aesthetically appear as 24k gold but is really only 14k with 24k plating.